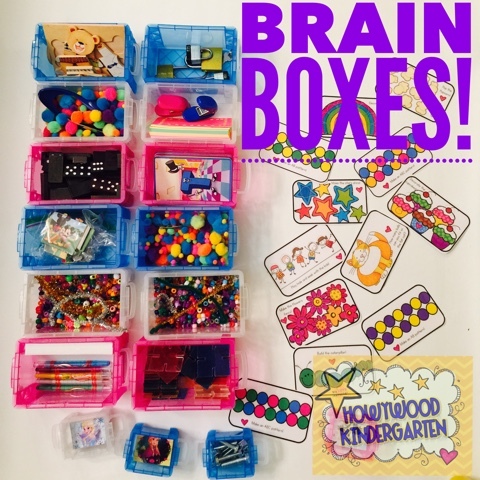 UPDATE: Brain Boxes were a huge success in my classroom! I'm in my second year of using them and they've worked even better than I could've imagined. I originally thought I'd have to switch them out each month or so... but believe it or not, my class used these same boxes ALL YEAR LONG. That almost makes me feel like a tiny bit of a rotten teacher for not going nuts trying to make them fresh and seasonal, but guess what- no worries, because they LOVED them! All. Year. Long. I love to share so... 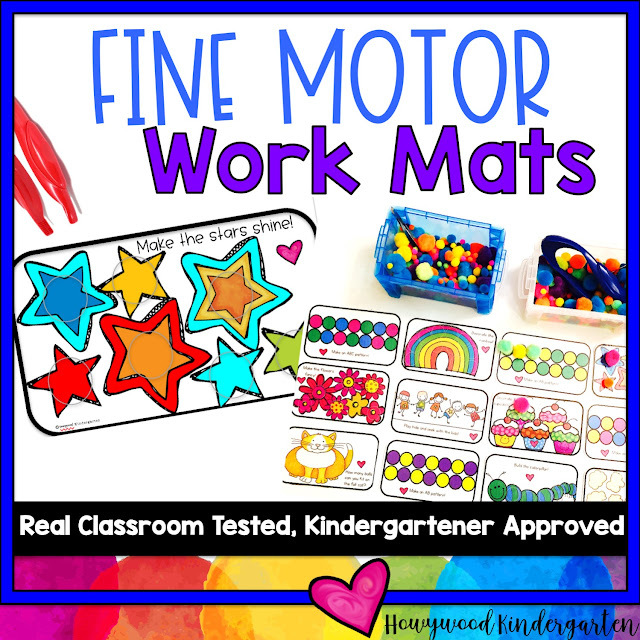 I'm giving away the "Fine Motor Mats" I use in my boxes for FREE! You can grab them by clicking on the big pic above. So here we are 2 months into year 2 with the same boxes (these things will last forever) and basically the exact same activities as I used last year. I've replaced the pipe cleaners for the bead stringing and decided to swap out the hole punchers (they got messy) with tinker toys I found at a garage sale (they're a total hit). 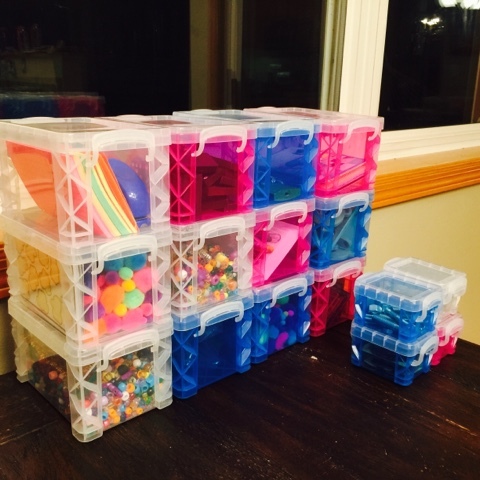 I'd recommend Brain Boxes to any teacher looking for SIMPLE, fine motor work kids can do at the beginning or end of the day or when they finish work quickly. 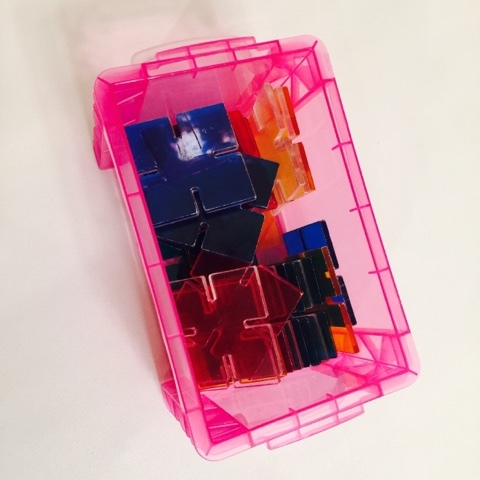 I'm so excited to launch these BRAIN BOXES in my classroom soon! Apparently it's an idea that's been around for a long time (my teacher/sister says she did them with her class 10 years ago, but I've seen them becoming "hot" again lately... so I wanted to share my management plan, what's in mine, where I got the stuff and all that in case YOU want to try them to! How fun do these look?! So pre-brain boxes, my kiddos would come in, do their morning routine (backpack, folder, order lunch, etc) and plop down on their sit spot to visit with friends while we waited for the school news to begin. It'd usually take 10-15 minutes for the news to come on so honestly, I realized I probably COULD have been doing something more valuable with their time than sitting and chatting (although that's good too in some ways, right?). 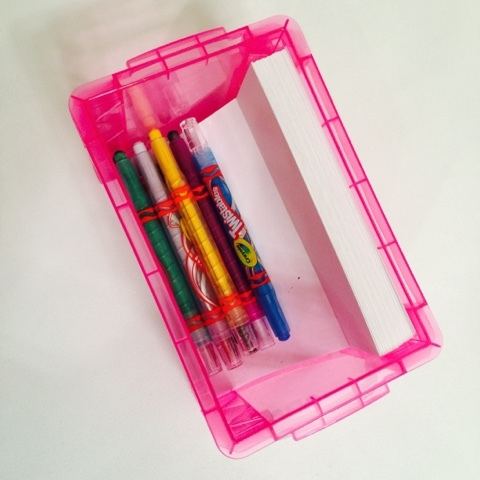 I've never been a fan of "morning work" worksheets... so brainboxes are the perfect solution! 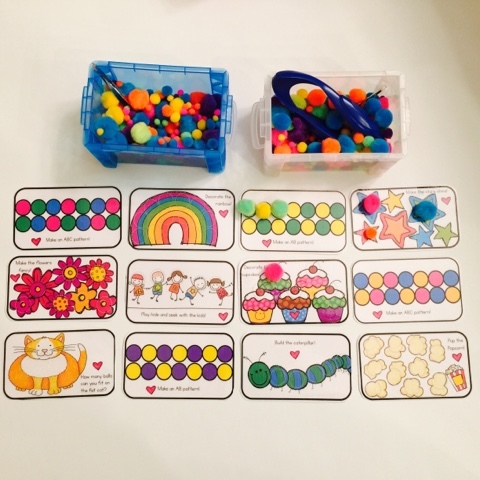 MOST of these focus on fine motor skills which are PERFECT for the beginning of the year! 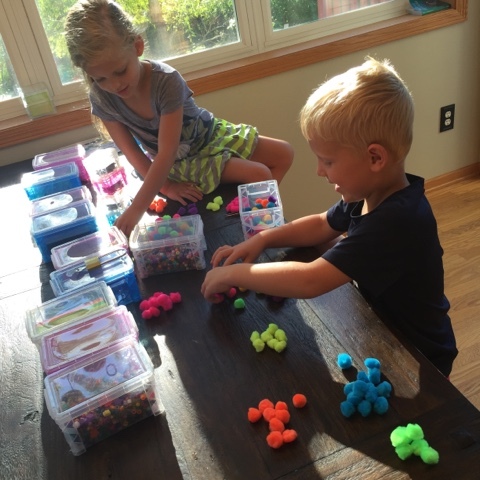 My 4 and 5 year old "product testers" hard at work! LOVE. 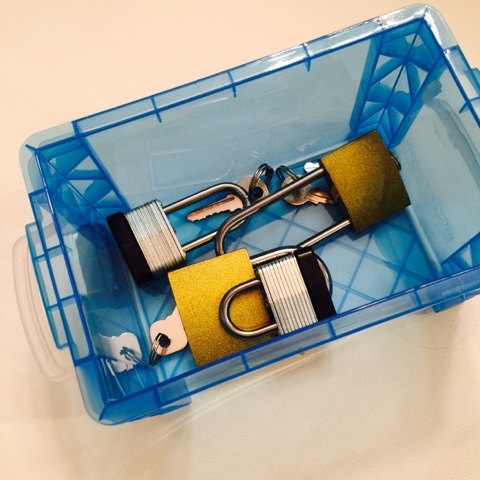 Padlocks and keys from the dollar tree = $4. It takes some problem solving to figure out which key goes in which lock! They all came with 2 keys so I am keeping one in my desk (because chances are good one may get lost or broken... it's okay). My plan (at least initially- we'll see how this goes!) is that kids who arrive early/on time can do their morning routine and then grab a brain box of their choice to work on quietly in the room. 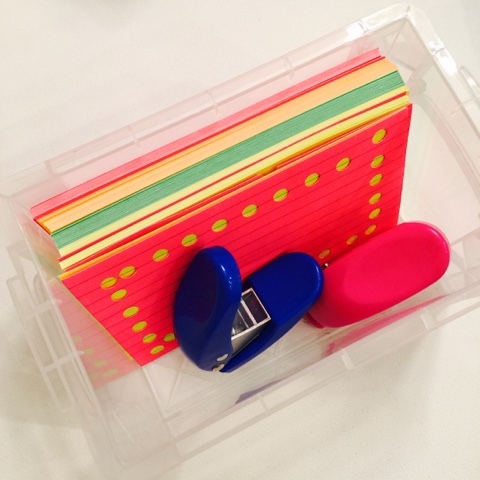 $1 mini hole punchers from Walmart with some $1 fun colored note cards. My smart teacher-sis suggested putting an example of a "done" card in the box so I don't end up with oodles of cards with one punch out of them. Haha! I'm not going to assign them (too complicated- what teacher needs one more job to do?). I'm not going to make them sit at a table (we can be flexible!). I'm not going to switch out the boxes very often. Maybe a few times per year? Playing that one by ear. They'll only be working in them maybe 5 minutes per day so they should be interesting for awhile. A little puzzle my kids don't play with anymore. Fits perfectly at an angle! I LOVE Leap Frog Letter Factory and it's one of the only videos I feel really, really good about showing my class. It's how all my own personal kiddos learned their letters and sounds super early on. So these are just flashcards that go with that video. 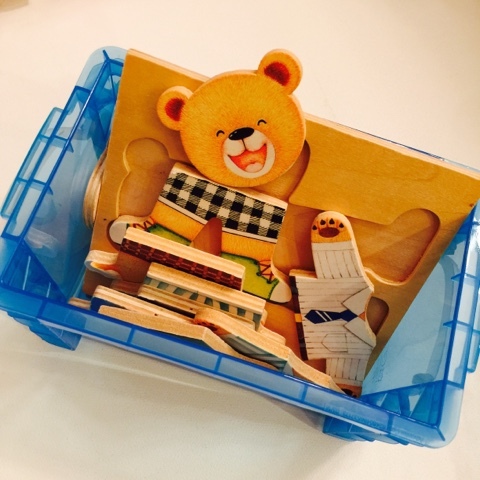 Many kinds of flashcards could go in these boxes. 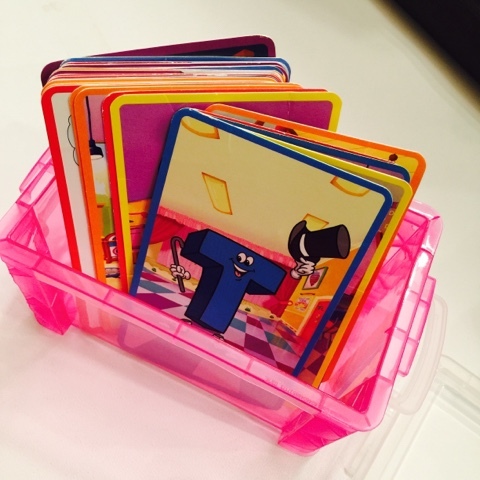 How fun are these cards pictured below? They fit perfectly in the boxes (more on where the boxes are from in a minute!). I had to make them because I couldn't find what I was looking for on TPT. Everything I found was mostly black and white and full sized pages. These are super fun and colorful (obviously, right?!) and they have little grey circles that show kids where to place the pom poms. Not sure if you can see the circles from this pic, but they're easy to see up close. I purposely made the circle light so they wouldn't overpower the pictures. :) See them HERE! Probably one of the hottest boxes so far, at least with my niece, nephew, and Kindergarten aged daughter who have been busy "testing" these out for me! It's pom poms from Dollar Tree and Hobby Lobby. I think the kids will like them so much I dedicated 2 boxes to this. I got medium, little, and even itty bitty sized poms for extra fun! The big blue plastic tweezer is from Dollar Tree ($1 obvs) and I also got 2 of the cheapest metal tweezers from Target (less than $1 for 2). I put a metal one and a plastic one in each box. They BOTH work great for pinching pom poms, which surprised me because I wasn't sure the little metal ones would work... but happy surprise- they totally do! 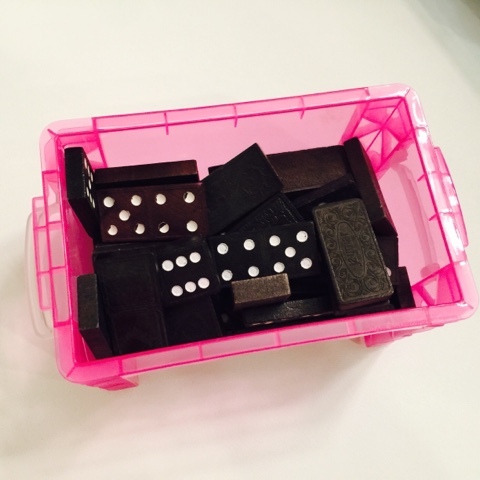 Good ol dominoes. They can stack them, build, match them up, line them up, whatever they want! Dollar Tree had some 6 cute little piece puzzles (4 for $1). I put two of them in this box and will save the other 2 for later in the year. 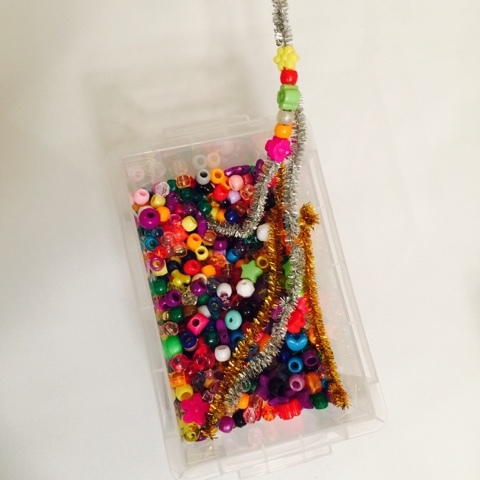 I am going to have them keep all the pieces in the container (ESPECIALLY for boxes like the beads and pom poms... yikes!). They can work while keeping most pieces in the box.... no need to dump it all out. I am going to have them clean up 1 minute before the news begins. Some kids may never get to work in brain boxes if they get to school late or are pokey doing their jobs. That's okay. The other HOT ticket so far! So I made TWO of these. Stringing beads on pipe cleaners! Remember- I'm going to expect them to leave these IN THE BOX and just pick up one at a time to put on the pipe cleaner. I'm already mentally preparing myself that these MIGHT spill someday. Ha! But the lids do snap on pretty securely so maybe I don't have to worry. These are some blocks that hook together that my husband played with when he was little. No idea what they are exactly, but kids might think they're fun?! THESE made me happy cause they're so dang cute and they fit so well in these boxes. Dollar Tree has some Frozen puzzles that are 12 pieces each (4 for $1). 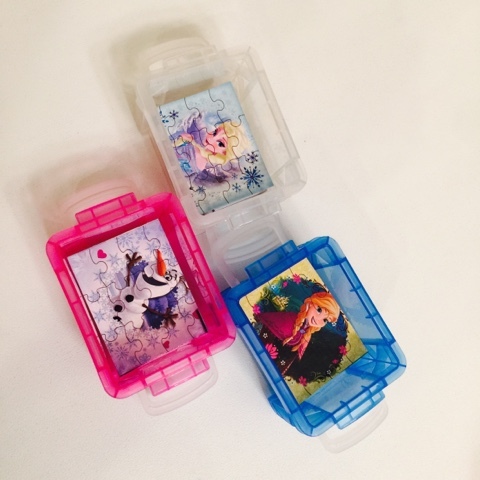 They fit PERFECTLY into these adorable little boxes that are only $1 each from Walmart. 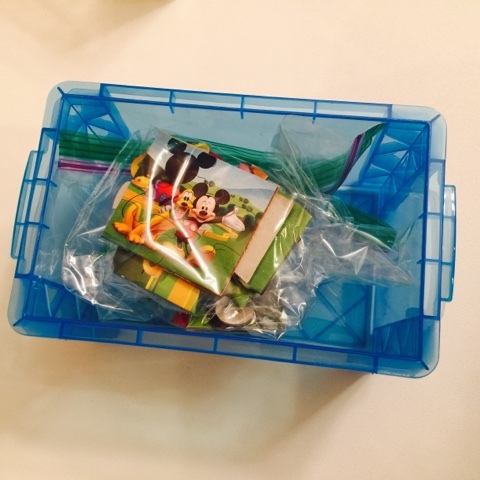 I'll warn you that I bought several other little 12 or 24 piece puzzles- and even those 6 piece Mickey puzzles, but none of those fit in these little boxes. Only the Frozen ones. Oh well. These are a WINNER though! Also a cute little box. 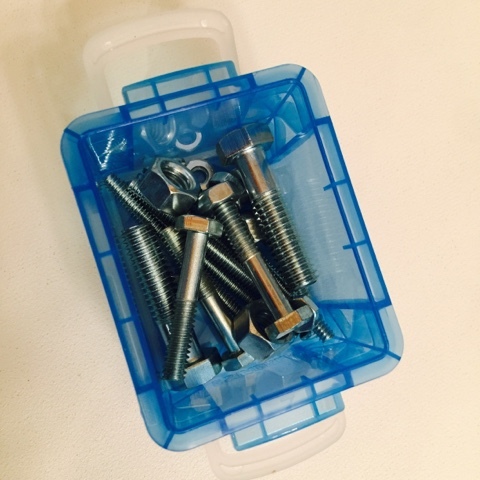 A mixture of nuts and bolts that cost a few dollars. They have to see which nuts fit on each bolt cause they're different sizes. This one is kind of like the locks and keys. I'm not sure I'll be brave enough to do Play Doh (I have carpet!) but I'm sure kids will LOVE it so I might need to give it a shot. 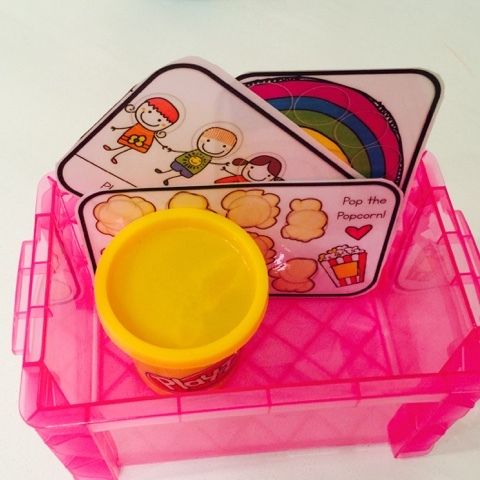 The cards I made can also be used with play doh if I teach them how to roll the doh into little balls. Cute! I know a lot of teachers who were going with plastic shoe boxes for this idea, but mine are just 3x5 index cards from Walmart. They have clear lids that snap on so easy, yet tight. I love that they won't take up tons of space in my classroom. I love all your ideas. I see it says, "If you would like to grab a set.." but I don't see where to find them. Gina! How did I not even realize I didn't add the link?! I'm so thankful you left me a comment. If you're interested in the cards, I'd love to send you a set for free! Thanks for your help! Email me at wordstothehowards@gmail.com to let me know where to send them. Hope you have an awesome school year!